یوسف زاده, شهروز, جعفری, علی اصغر, محمدزاده, علیرضا. (1397). بررسی ارتعاشات هیدروالاستیک ورق دایروی از جنس مواد تابعی در تماس با سیال محدود با استفاده از روش ریتز. علوم و فناوری کامپوزیت, 5(4), 529-538. شهروز یوسف زاده; علی اصغر جعفری; علیرضا محمدزاده. "بررسی ارتعاشات هیدروالاستیک ورق دایروی از جنس مواد تابعی در تماس با سیال محدود با استفاده از روش ریتز". علوم و فناوری کامپوزیت, 5, 4, 1397, 529-538. یوسف زاده, شهروز, جعفری, علی اصغر, محمدزاده, علیرضا. (1397). 'بررسی ارتعاشات هیدروالاستیک ورق دایروی از جنس مواد تابعی در تماس با سیال محدود با استفاده از روش ریتز', علوم و فناوری کامپوزیت, 5(4), pp. 529-538. یوسف زاده, شهروز, جعفری, علی اصغر, محمدزاده, علیرضا. بررسی ارتعاشات هیدروالاستیک ورق دایروی از جنس مواد تابعی در تماس با سیال محدود با استفاده از روش ریتز. علوم و فناوری کامپوزیت, 1397; 5(4): 529-538. در این پژوهش به بررسی ارتعاشات آزاد ورق دایروی از جنس مواد تابعی در تماس با سیال محدود و غیرقابل تراکم پرداخته شده است. ابتدا معادلات حاکم بر ورق دایروی بر اساس تئوری مرتبه اول تغییر شکل برشی یا تئوری میندلین با در نظر گرفتن اثرات اینرسی دورانی و نیروهای برشی استخراج شده است. برای تقریب جابجایی‌های ورق از توابع پذیرفتنی هارمونیک چبیشف همراه با توابع مرزی استفاده شده است. سپس معادلات حاکم بر نوسان سیال با بهره‌گیری از حل معادله لاپلاس پتانسیل سرعت و ارضای شرایط مرزی حاصل شده است. با استفاده از روش ریتز، فرکانس‌های طبیعی و شکل مودهای ورق دایروی در تماس با سیال بر مبنای انرژی پتانسیل کمینه استخراج شده‌اند. در ادامه، تأثیر پارامترهای مختلف هندسی از قبیل نسبت ضخامت بر شعاع ورق، شرایط مرزی، چگالی سیال، نسبت کسر حجمی ماده تابعی و ارتفاع سیال روی فرکانس‌های طبیعی مورد بررسی قرار گرفته است. به منظور حصول اطمینان از نتایج به دست آمده از حل تحلیلی، فرکانس‌های طبیعی حاصل از ورق دایروی در تماس با سیال در حالت خاص ورق همگن آلومینیومی با نتایج حاصل از آزمایش تجربی مورد مقایسه قرار گرفته است. This study investigates the free vibration of a thick FG circular plate in contact with an inviscid and incompressible fluid. Analysis of the plate is based on First-order Shear Deformation Plate Theory (FSDT) with consideration of rotational inertial effects and transverse shear stresses. Dynamic transverse displacements of the plate are approximated by set of admissible Chebyshev functions which is required to satisfy the geometric boundary conditions. Potential theory together Bernouli’s equation are utilized to obtain the fluid pressure on the free surface of the plate. The governing equation of the oscillatory behavior of the fluid is obtained by solving Laplace equation and satisfying its boundary conditions. The natural frequencies and mode shapes of the plate are determined using Rayleith-Ritz method based on minimizing the Rayleith quotient. The effects of the geometrical parameters such as plate thickness to its radius ratio, boundary conditions, fluid density, volume fraction index, and height of the fluid on natural frequencies and mode shapes are investigated. Comparison of analytically outcome of this study is made with results of the experimental modal test for homogeneous Aluminum plate. Amiri, J. V. Nikkhoo, A. Davoodi, M. R. and Hassanabadi, M. E., “Vibration Analysis of a Mindlin Elastic Plate Under a Moving Mass Excitation by Eigenfunction Expansion Method” Thin-Walled Structures, Vol. 62, No. 1, pp. 53-64, 2013. Hasheminejad, S. M. Khaani, H. A. and Shakeri, R., “Free Vibration and Dynamic Response of a Fluid-Coupled Double Elliptical Plate System Using Mathieu Functions” International Journal of Mechanical Sciences, Vol. 75, No. 1, pp. 66-79, 2013. Kerboua, Y. Lakis, A. A. Thomas, M. and Marcouiller. L., “Vibration Analysis of Rectangular Plates Coupled with Fluid” Applied Mathematical Modelling, Vol. 32, No. 12, pp. 2570-2586, 2008. Allahverdizadeh, A. Naei, M. H. and Bahrami, M. N., “Nonlinear Free and Forced Vibration Analysis of Thin Circular Functionally Graded Plates” Journal of Sound and Vibration, Vol. 310, No. 4, pp. 966-984, 2008. Tariverdilo, S. Shahmardani, M. Mirzapour, J. and Shabani, R. “Asymmetric Free Vibration of Circular Plate in Contact with Incompressible Fluid” Applied Mathematical Modeling, Vol. 37, No. 1, pp. 228-239, 2013. Jeong, K. H., “Free Vibration of Two Identical Circular Plates Coupled with Bounded Fluid” Journal of Sound and Vibration, Vol. 260, No. 4, pp. 653-670, 2003. Dong, C. Y., “Three-Dimensional Free Vibration Analysis of Functionally Graded Annular Plates Using the Chebyshev–Ritz Method” Materials & Design, Vol. 29, No. 8, pp.1518-1525, 2008. Kwak, M. K. “Hydroelastic vibration of circular plates”. Journal of Sound and Vibration, Vol. 201, No. 3, pp. 293-303, 1997. Amabili, M., “Effect of finite fluid depth on the hydroelastic vibrations of circular and annular plates”, Journal of Sound and Vibration, Vol. 193, No. 4, pp. 909-925, 1996. Zhou, D., & Cheung, Y. K., “Vibration of vertical rectangular plate in contact with water on one side”, Earthquake engineering & structural dynamics, Vol. 29, No. 5, pp. 693-710, 2000. Hosseini-Hashemi, S., Karimi, M. and Rokni, H. “Natural Frequencies of Rectangular Mindlin Plates Coupled with Stationary Fluid”. Applied Mathematical Modeling, Vol. 36, No. 2, pp. 764-778, 2012. Jeong, K. H. Lee, G. M. and Kim, T. W. “Free Vibration Analysis of a Circular Plate Partially in Contact with a Liquid”. Journal of Sound and Vibration, Vol. 324, No. 1, pp. 194-208, 2009. Myung, J. J. and Young, H. C. “Fluid Bounding Effect on Natural Frequencies of Fluid-Coupled Circular Plates” KSME International Journal, Vol. 17, No. 9, pp. 1297-1315, 2003. 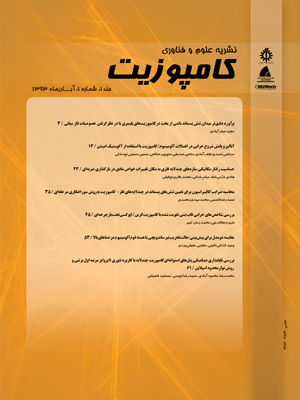 Ghidryan, H., Ghazavi, M.R., Dehghani Firoozabadi R.,”Analysis of Free Vibration of Composite Sheets in Contact with Fluid by Ritz Method”, Third International Conference on Acoustic and Vibration, Tehran, Iran Acoustic and Vibrational Society, 2013 (In Persian). Askari, E. Jeong, K. H. and Amabili, M. “Hydroelastic Vibration of Circular Plates Immersed in a Liquid-Filled Container with Free Surface” Journal of Sound and Vibration, Vol. 332, No. 12, pp. 3064-3085, 2013. Rezvani, H., Fazeli H., Saeid Kiaest M., Haji Hashemi Gh., “Calculation of the Influence of the Mass Parameter on the Frequency of Structures in the Fluid by Numerical, Analytical, and Laboratory Results”, Amirkabir Scientific and Research Journal, Vol. 47, No. 2, pp. 70-60, 1394 (In Persian). Jomehzadeh, E. Saidi, A. R. and Atashipour, S. R. “An Analytical Approach for Stress Analysis of Functionally Graded Annular Sector Plates” Materials & Design, Vol. 30, No. 9, pp. 3679-3685, 2009. Mehrabadi, S. J. Kargarnovin, M. H. and Najafizadeh M. M. “Free Vibration Analysis of Functionally Graded Coupled Circular Plate with Piezoelectric Layers” Journal of mechanical science and technology, 23(8), pp. 2008-2021, 2009. Hosseini-Hashemi, S. Taher, H. R. D. Akhavan, H. and Omidi M. “Free vibration of functionally graded rectangular plates using first-order shear deformation plate theory” Applied Mathematical Modeling, 34(5), pp. 1276-1291, 2010. Khorshidi, K. and Bakhsheshy A. “Free Natural Frequency Analysis of an FG Composite Rectangular Plate Coupled with Fluid using Rayleigh–Ritz Method”. Mechanics of Advanced Composite Structures‎, Vol. 1, No. 2, pp. 131-143, 2014. Zhou, D. Au, F. T. Cheung, K. Y. K. and Lo S. H. “Three-Dimensional Vibration Analysis of Circular and Annular Plates Via the Chebyshev–Ritz Method”. International Journal of Solids and Structures, Vol. 40, No. 12, pp. 3089-3105, 2003. Fox, L. P. “Chebyshev Polynomials in Numerical Analysis”, No. 519.4 F6, 1968. Hejripour, F. and Saidi A. R. “Nonlinear Free Vibration Analysis of Annular Sector Plates Using Differential Quadrature Method” Proceedings of the Institution of Mechanical Engineers, Part C: Journal of Mechanical Engineering Science, Vol. 226, No. 2, pp. 485-497, 2012. Myung, J. J. and Young H. C. “Fluid Bounding Effect on Natural Frequencies of Fluid-Coupled Circular Plates” KSME International Journal, Vol. 17, No. 9, pp. 1297-1315, 2003. Bracewell, R. “The Fourier Transform and Its Applications”, Vol. 84, CRC press, 2017. Hosseini-Hashemi, S. Karimi, M. and Taher, H. R. D. “Vibration Analysis of Rectangular Mindlin Plates on Elastic Foundations and Vertically in Contact with Stationary Fluid by The Ritz Method” Ocean Engineering, Vol. 37, No. 2, pp.174-185, 2010. Rao. S. “Mechanical Vibrations” 4th Edition, 2004. Ren, W. X. “Experimental and Analytical Modal Analysis of Steel Arch Bridge” Journal of structural Engineering ASCE, 2004. Hosseini-Hashemi, S. Atashipoor, S. R. Karimi, M. and Es’haghi M. “Free Vibration of Functionally Graded Elliptical Plates” Iranian journal of Marine Engineering, Vol. 15, No. 8, pp. 43-60, 2012. Hosseini-Hashemi, S., Azimzadeh-Monfared, M., & Taher, H. R. D., “A 3-D Ritz solution for free vibration of circular/annular functionally graded plates integrated with piezoelectric layers”, International Journal of Engineering Science, Vol. 48, No. 12, pp. 1971-1984, 2010.